Born in 1938 as Robert Craig Knievel, the stunt-performer’s career began at the National Date Festival in Indio, California in 1966, where he performed for the first time as Evel Knievel. The rest, they say, is history.Knievel earned his daredevil reputation by performing mind-blowing, high-risk motorcycle jumps over lines of vehicles, the Grand Canyon, the Snake River Canyon, and a host of other bone-breaking stunts. His flashy costumes and colourful personality made him an instant hit with audiences. 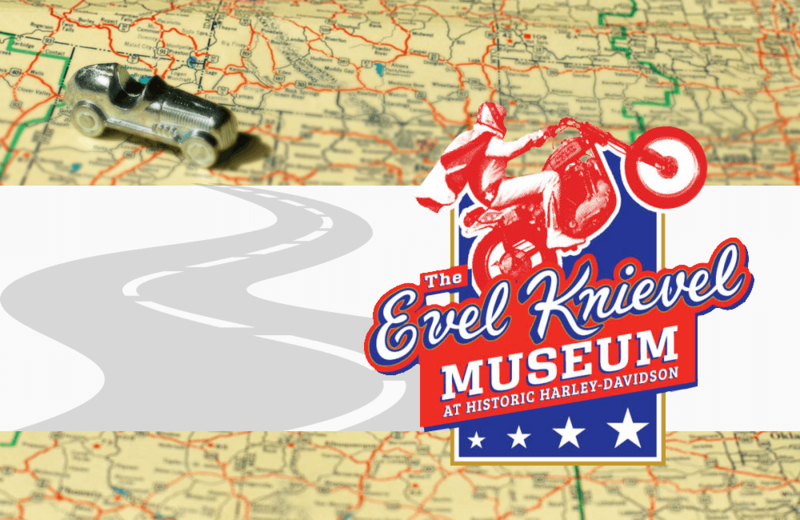 The Evel Knievel Museum reminds the public of Knievel’s fantastic career and showmanship. It recreates the excitement around Knievel’s career by showcasing many of his customized motorcycles and costumes, along with film footage, articles, and photos of his storied career. Visitors can even experience what it would be like to jump over 16 vehicles on a motorbike, thanks to a virtual-reality experience. Knievel died in 2007 from complications attributed to lung disease, but he has never been forgotten. The popularity of the Evel Knievel Museum underscores his status as a legend and is a must-visit for those enamoured of the daredevil’s glory days.